Jackson Hole, Wyoming – Wyoming has some of the grandest geology, wildest legends, and most poignant historical artifacts found between the coasts. There are some great Wyoming lodging options; hotels, inns, lodges and more. Let Texas claim the cowboy the real home on the range is here. Whether it’s Love Ridge, Alpine View, or Snow King – find the best Wyoming lodging values and packages by following the links below. Visit the area’s numerous galleries, antique shops, village stores, restaurants and inns. The Wyoming lodging choices are big. Choose from Wyoming hotels, resorts, motels, motor inns, and destination lodges. 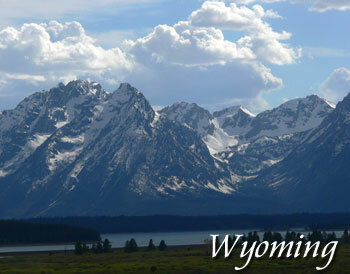 To find the best deals on Wyoming hotel lodging, follow the links below. To feature your Wyoming hotel, contact us. Contact us to feature your Wyoming hotel or lodging property. In addition to it’s unique natural beauty, you will discover that Wyoming’s famous National Park also offers grand adventures for everyone. Yellowstone contains more than 2.2 million acres of steaming geysers, thundering waterfalls, crystalline lakes, and intimate encounters with such impressive wildlife as elk, bison, black and grizzly bears, and the recently re-introduced wild wolf. This is the home of the world’s most extensive geyser activity, and harbors more than 10,000 thermal features. Not only was Yellowstone the first National Park in America, it is also the greatest wildlife sanctuary in the United States, encompassing 3,472 square miles of wondrous beauty.